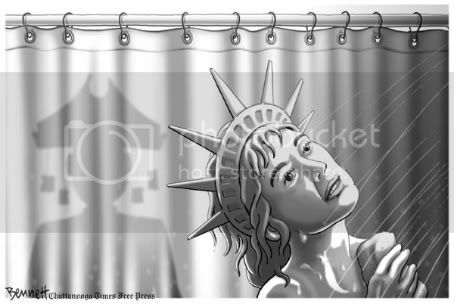 Miss Liberty showers in her crown? This is a terrible insult to Norman Bates. More frightening than the original. Hitchcock would approve.